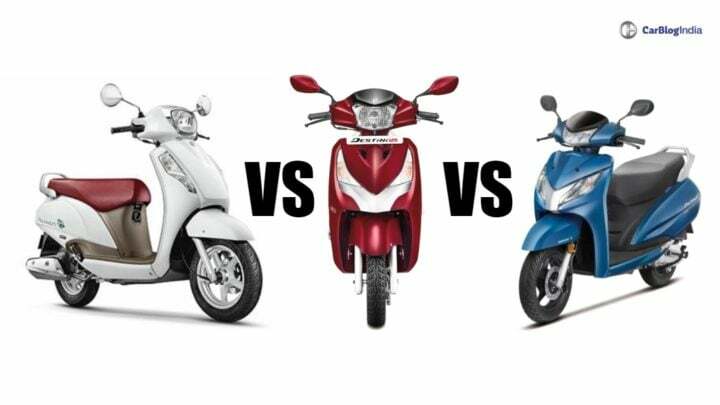 Here we put the newly launched Hero Destini 125 against Honda Activa 125 and Suzuki Access 125. All these three models are targeted towards family buyers rather than the younger generation. Hero Destini 125 was recently launched in India to take on the success of Honda Activa 125 and Suzuki Access 125. Activa and Access are currently amongst the top-selling two-wheelers of India. Hero plans to provide a tough competition with its new 125cc scooter. The Destini 125 misses out on LED lighting and an optional front disc brake. This is the biggest down point for the Destini, otherwise, it would have been a complete package. Read more about the Destini 125 here. Anyhow, these three scooters are entry-level 125cc scooters, targeted for family buyers. So let’s compare these three scooters know the better one. The Destini 125 is the least priced among its competitors. 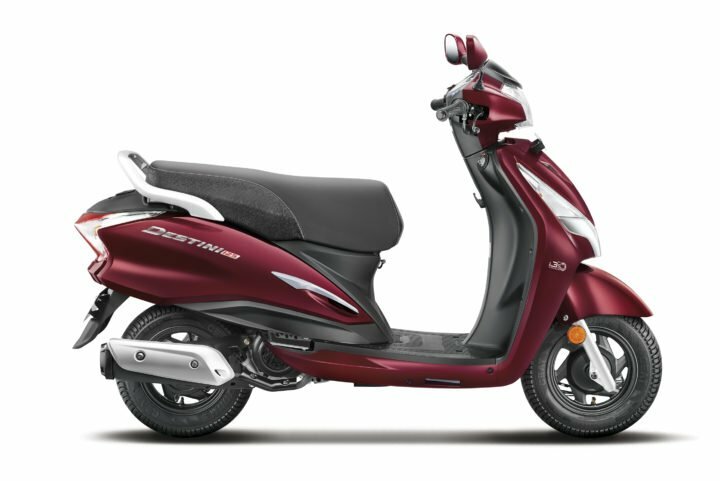 On the other hand, Activa is the most expensive scooter in its segment. 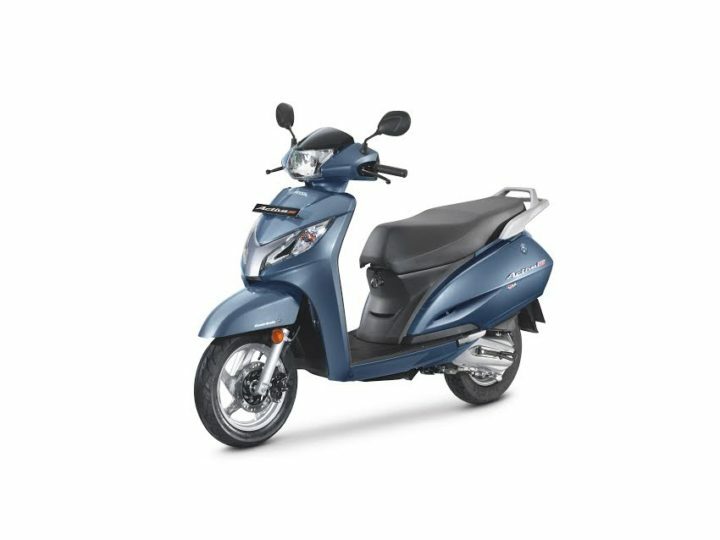 The prices of Activa come in range with Grazia’s price, which is a sportier and more feature equipped scooter. Earlier, Access 125 was the cheapest one in this segment. Destini 125 is the most powered scooter in its segment. The power figures at 8.7 BHP are higher than Access by 1 BHP and Activa by around 2 BHP. Despite weighing 10 kgs more than the Access, Destini delivers better power. We rode the Destini and found the acceleration to be linear. The Destini gets a fuel tank capacity of 5.5 Litres. The approximated mileage is 55 kmpl, which gives a riding range of about 300 kms on a full tank. The Destini 125 achieves a top speed of 90 km/hr. The Activa 125 gets a 5.3 Litre fuel tank capacity. The claimed mileage is 59 kmpl, offering a riding range of 310 kms on a full tank. Activa’s top speed is similar to Destini as 90 km/hr. Access is the lightest of them. It gets a bigger fuel tank capacity of 5.6 Litres. Suzuki claims that Access gives a mileage of 64 kmpl, which gives an approx riding range of 350 kms in one go. The top speed is also better than both the scooters, at 92 km/hr. The biggest difference you can see here is between the weight of these scooters. 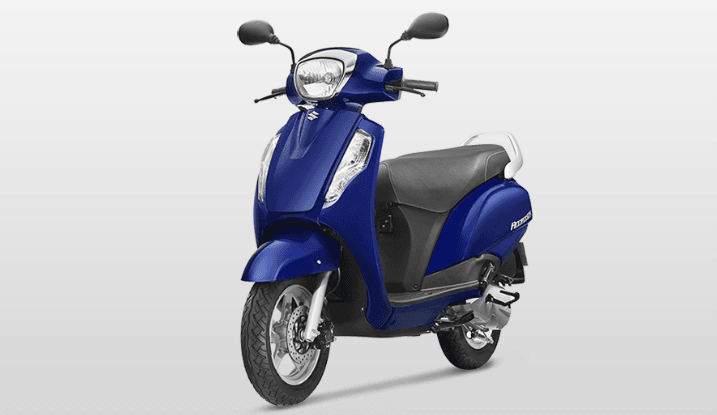 The Destini is whooping 10 kgs heavier than the Access and 5 kgs more than the Activa 125. Here, Access emerges as a winner as it is longer, sleeker, taller and gets more ground clearance than both the scooters. Destini 125 uses telescopic shock absorbers in the front and the single coil spring type in the back. Destini 125 gets only drum brakes and no option of a disc brake. Activa 125 gets telescopic function in the front and spring loaded hydraulic type in the rear. For braking, it gets drum brakes with an option of a front disc brake. Access 125 uses telescopic forks in the front and a swing arm suspension in the rear. It also offers drum brakes with an option of a front disc brake. So, here are all the specifications and details required to choose between these three scooters.